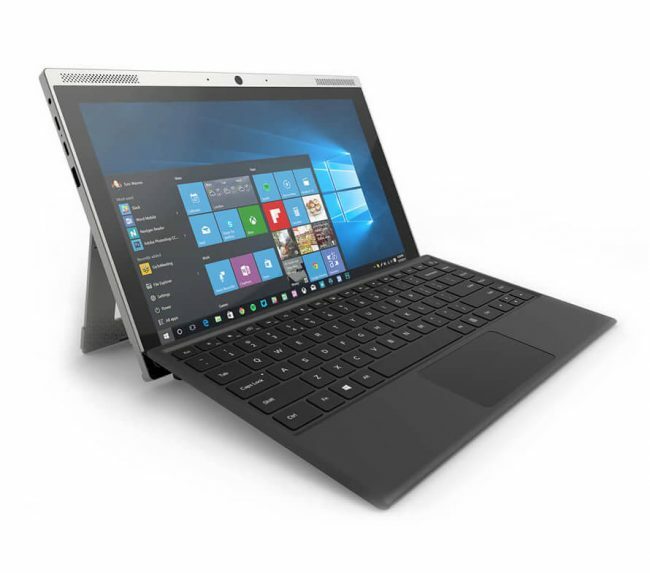 Smartron has today announced the launch of their tbook flex hybrid 2 in one laptop which can work as a laptop and tablet. Running on Windows 10, it automatically switches between laptop and tablet mode for a seamless experience. This device sports a 12.2-inch WQXGA display, 2560 x 1600 resolution for an immersive multimedia experience. According to the company, its multi-touch display responds accurately to your finger-touch and the stylus pen. It comes with front & rear cameras, dual mic, powerful speakers and fast dual-band WiFi and Bluetooth connectivity. Its unique dual tone finish and a flixstand with a step-less hinge design and an ability to flex up to 150 degrees is what makes this laptop stand out. It is equipped with an island style, backlit, keyboard for typing even in low light environments. Its lightweight body and detachable backlit keyboard makes it easily portable. It also sports a fast fingerprint scanner and is also equipped with the latest Thunderbolt 3 USB Type C port that enables you to transfer data at rates up to 40 Gbps, project on multiple hi-resolution displays and connect to an external GPU easily. It also comes with a type C fast charging. The tbook flex will be available at INR. INR 42,990 and INR 52,990 for the m3 and i5 version respectively, exclusively on Flipkart starting midnight on May 13 in two colour variants of dual tone Orange-Grey and Black Grey.